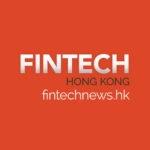 Blockchain has been an important topic for fintech development in Hong Kong. As a global financial hub, it is no surprise investors flock to Hong Kong for ICOs and cryptocurrency trading. However, blockchain startups in Hong Kong do not just focus on fintech, but also other industries such as real estate, transportation, administration, etc. CryptoBLK focuses on building, deploying, and operating DLT solutions and systems for various financial services domains. 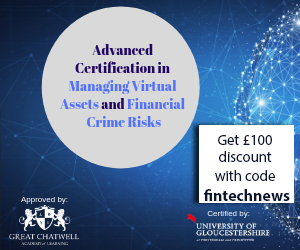 Their successful cases include Topaz, a Proptech platform for property valuation data, MIDAS, an Insuretech solution, and Corda Benchmark, a performance test system. The DLTapp-as-a-Service (DaaS) platform developed and operated by CryptoBLK supports multiple DLT applications. CryptoBLK provides services to support customized application development and launch collaboratively on the DaaS platform. BlueMeg is an independent international corporate services provider, bridging the gap between tailored quality services and the new digital era. BlueMeg’s dashboard is integrated with blockchain technology to help companies manage documents and processes. The use of smart contracts allows for an entirely new degree of trust and automation, transforming complex traditional processes into fail-safe, efficient and straightforward steps. OK Link is a blockchain-based payments and infrastructure platform which enables users within the network to initiate low cost financial transfers and asset settlement with robust internal infrastructure. ANXPRO is an advanced trading platform designed for experienced digital assets traders and specializes in Altcoins, Algos and Performance. ANXPRO allows users to trade Bitcoins , Ether, and other major altcoins with multiple fiat currencies. It also provides ANX Vault, an all-in-one mobile wallet to manage cryptocurrencies. In 2018, ANXPro is planned to launch a debit card solutions. Users will be able to use the card to transfer bitcoins, make purchases, and withdraw cash. Universal Blockchain Internet is headquartered in Hong Kong and operated in Shenzhen, New York, and London. The company develops blockchain technology, internet of things (IoT), and biomedical technology to track the authenticity of pharmaceuticals. UBI Blockchain is listed on OTCQB, and has become one of the most valuable publicly traded companies in the blockchain industry. In 2017, UBI Blockchain’s stock surged as much as 1,000%, valuing at US$1.2 billion. BitSpark is one of the few blockchain platforms that have maintained its strong partnership with national banking institutions in the Philippines, Indonesia and Vietnam, enabling users to access its services through major banks such as BDO, BPI, LBC, Indonesia’s BTN, and Vietnam’s Vietin Bank. 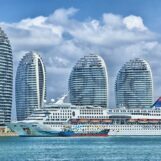 Moveco hopes to use blockchain technology to build a data ecosystem, tap valuable data for different companies, and promote the development of smart cities. The company plans to collect and share different mobility data. Users can choose to insert the device in the car to provide more in-depth driving data. Because it will be stored via blockchain, it can be decentralized without fear of hacking, and users will share data anonymously without exposing privacy. 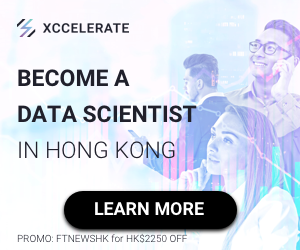 Moveco raised funding for Cove from InMotion Ventures (Jaguar Land Rover’s investment arm) in 2017, and has been supported by Invest Hong Kong. 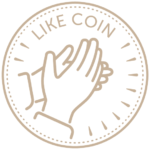 LikeCoin is a blockchain protocol for independent content creators, which provides a mechanism for creators worldwide to be rewarded for their original or derivative work. With a reinvented “Like” button and “LikeRank” algorithm, LikeCoin traces content footprint and rewards creators, enabling attribution and cross-application collaboration on creative content. said Kin Ko, co-founder of LikeCoin. Initially readers don’t need to pay a penny to “Like” creators. The creator can convert LikeCoin of the account into other cryptocurrencies or even legal currencies. After 10 years, the new supply of LikeCoin will be gradually reduced, readers need to buy to play creators. The ICO goal of LikeCoin is to raise 12,600 Ether coins. The ICO started on May 7, 2018 and ends on May 21, 2018. As of May 17, 2018, LikeCoin has raised 73,500 Ethers. TrustME is the first a public blockchain business platform in Hong Kong, developed by MoneySQ, a P2P lending platform, with Microsoft and the Hong Kong Applied Science and Technology Research Institute (ASTRI). Utilizing blockchain technology, TrustME is the first to provide source tracking and smart contracts for industries such as real estates, mortgages, and wine business. TrustME was officially launched in February 2018. 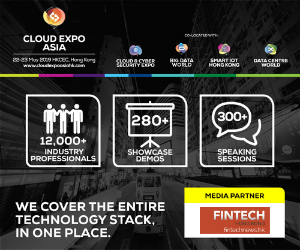 Their goal is to attract 20% of SMEs in Hong Kong to join the platform in the coming year, and their vision is to help SMEs advance ahead of technology and promote the development of smart cities in Hong Kong.